Feel like you are practicing and practicing but no matter how much you do you still feel like you can achieve so much more? If you are struggling to master any micropigmentation technique then advanced training could be your answer. Forget those pre-treatment worries and sleepless nights. Now have the chance to open that door to your client with 100% confidence. Maybe you just want to work on one technique, or possibly you have 100 questions buzzing in your head, maybe it’s time to get some mentorship to take your work to the level that you desire. JMK Cosmetics offer bespoke 1-2-1 training, this way you can have Jade’s full attention all day and delve into her expertise. You are not alone, that drive you have to perfect pro techniques, be ahead of the competition We’ve all had those irritating self-doubts when we just don’t seem to be able to get it quite right. These are just some of the reasons I’ve developed a bespoke advanced training programme to support technicians just like you, who are wanting to expand their skills and extend their knowledge, all with a vision of developing their business. As a passionate and creative entrepreneur and permanent makeup technician, I understand that much of your time is focused your customers and ensuring they are satisfied. This often means that your own professional development is overlooked..
You will decide with Jade exactly what you would like to achieve. 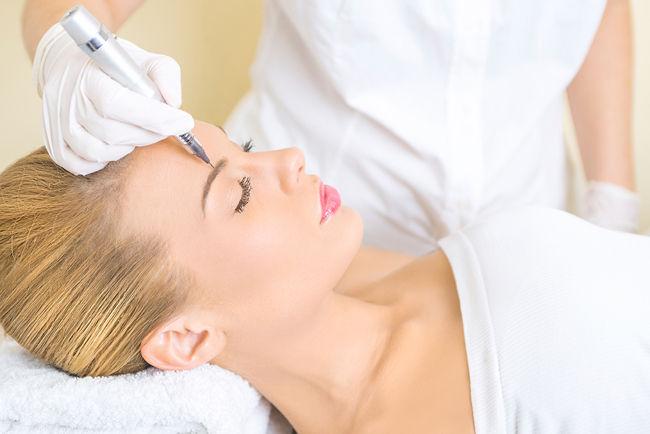 • Permanent eyebrows training: Nano needle techniques, Hairstroke Eyebrows, Powder Brows, Ombre brows, Drawing techniques, Nano Brow training, Colour theory. • Practice on live models: Depending on the treatment, trainees will have the opportunity to cement their new skills a live live models. • Shadow day: After completion Jade will offer an additional shadow day and telephone support. If you would like to book your permanent makeup training with Jade, please get in touch to find out about availability. Jade’s training sessions tend to fill up fast, so book now to avoid disappointment.